Emails sometimes can’t express our real moods and meaning, only face to face meeting could be the best connection for a good cooperation. 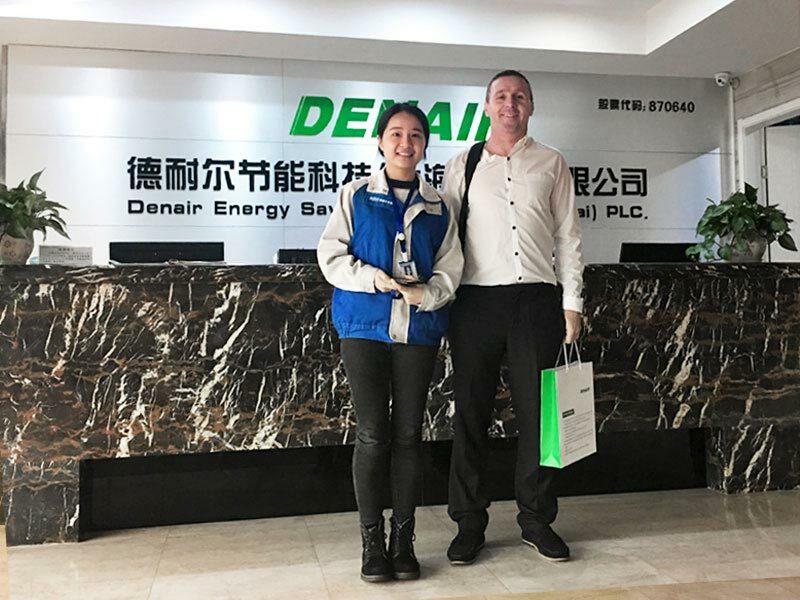 Based on this idea, we invited our Ireland customer Mr. Noel who ordered one set of DENAIR DA-22 (125CFM @ 10BAR, 22KW/30HP), carry with CE(PED, EMC, MD) Certificates from DENAIR air compressor factory for Filtration machines. After visiting DENAIR factory, Mr. Noel highly appreciated with DENAIR production line and environment and DENAIR air compressors. During our meeting time, Mr. Noel also expressed that he will take DENAIR air compressors to many exhibitions with his Filtration machines in Europe countries, such as Germany, UK and Ireland. We do believe it will be a Win-Win cooperation to both parties. 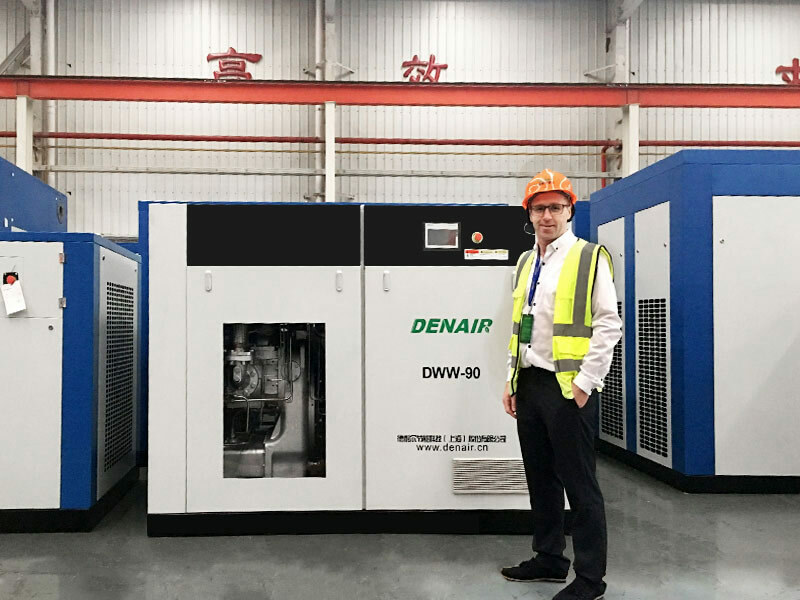 During factory visiting period, Mr. Noel also showed his great interests in DENAIR Full Features (Air compressor, dryer, filters and tank packed in one package), and DENAIR Dry Type 100% Oil Free air compressors. We all think it will be a great beginning for mutual partnership, and Mr. Noel indicated he will order more compressors in 2019 to support his filtration machines. DENAIR air compressor factory always welcome you to visit, test and inspect your machines.